People in West Des Moines have been searching for a true craft beer bar for years. At Wellman's Pub & Rooftop, we've hand selected 25 of our favorite craft beers for the best beer conaisseurs in West Des Moines. 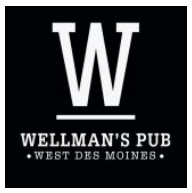 Since the summer of 2013, Wellman’s Pub and Rooftop has made it our mission to bring quality craft beer to the West Des Moines area. With 24 tap beer lines and a multitude of bottles and cans to offer, we’ve made it our goal to provide a great selection of beer that spans all styles and stay up to date with current brands and trends. This selection includes many staple favorites but also allows us the freedom to you a variety of seasonal and rotational beer so that you can always be drinking something new and different.